To discover a cure for Neurofibromatosis. In 2010, a group of do-gooders, led by co-founders Brendan Hanrahan, Chad Leathers and Bobby Gill, dropped their pants and ran through the D.C. cold to raise money for research to help end neurofibromatosis (NF), a rare genetic disorder that causes tumors to grow on nerves throughout the body. They ran in their undies because those affected with NF can’t cover up their tumors, so they decided to strip down in solidarity. Since 2010, Cupid’s Charity was created and became a recognized 501(c)(3) non-profit with a mission to end NF by funding much needed research. We have raised over $18,900,000 to date, with 100% of net proceeds funding research through our partner the Children’s Tumor Foundation, the world’s leader in NF research. One of our founders, Chad Leathers, and his family, are just one of the inspirations behind Cupid’s Undie Run. Chad’s brother, Drew, was diagnosed with NF at the age of 16. He had his entire life ahead of him and no real concept of how this new diagnosis would change his life completely. 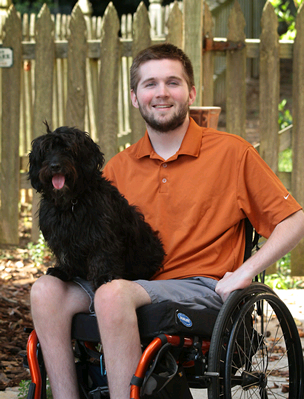 In 2009, Drew became paralyzed because of the tumors encroaching on his spine. He spent 183 days in the hospital in a single year, “changing the channels with a straw.” Life at this point was beyond difficult, but despite the hardship, Drew and his family never gave up. Chad recalls that his mother was always “pushing to be a part of the solution.” A common saying for her was, “can’t never could.” Drew’s “can’t never could” stubbornness and determination to move beyond the hospital bed is what allowed him to stand on his own two feet to accept the Children’s Tumor Foundation Ambassador Award in 2012. 1. Always lead with love. Meet our staff, board of directors, and volunteers who make Cupid’s what it is today. Cupid’s Charity and its loyal community of supporters are on a mission to find a cure for neurofibromatosis. If you want in, there are a variety of ways to get involved with our cause, from careers, to volunteer opportunities, and more! Must-have Cupid’s gear available in our store!